Americans tend to reject fish with more bones than they think are appropriate. I chalk it up to sheer sloth and laziness, because many of these fish are fantastic to eat, once you deal with the bones. Shad is a prime example, as is Northern pike. Thankfully, both fish do have their enthusiasts, and I am among them. Pike, especially, is a wonderful fish. Very firm, very white, as mild to eat as the fish is fun to catch. I had the opportunity to chase gigantic northerns in Manitoba last summer and brought a few fish home, thanks to my friend Shel Zolkewich of Travel Manitoba. Since then I’ve made classic pickled pike, Polish fried pike nuggets and a pike soup I dedicated to Manitoba. That left me with just enough pike to make two last recipes. 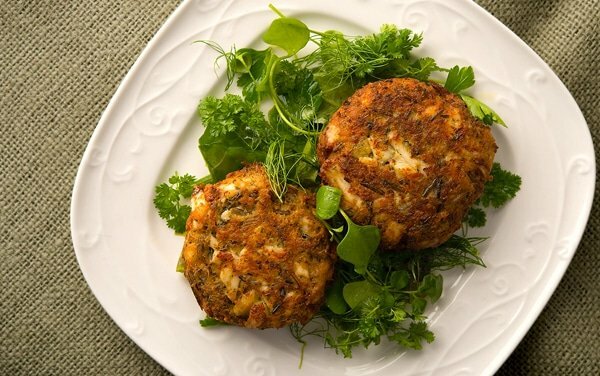 One is for these Midwestern-style fish cakes recipe. 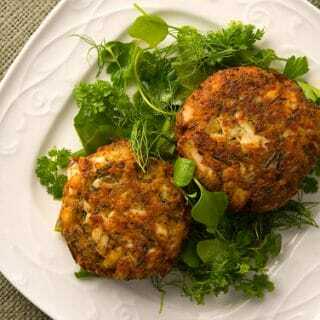 Oh, and you should know that you can use virtually any species for these fish cakes. Pike is just what I happened to use. I must admit the idea to mix wild rice with a fish cake isn’t original; I developed my recipe from one I read in Midwestern Living magazine. It’s a great idea, though, as the wild rice is both native to the region and adds a bit of color and texture to the fish cakes. 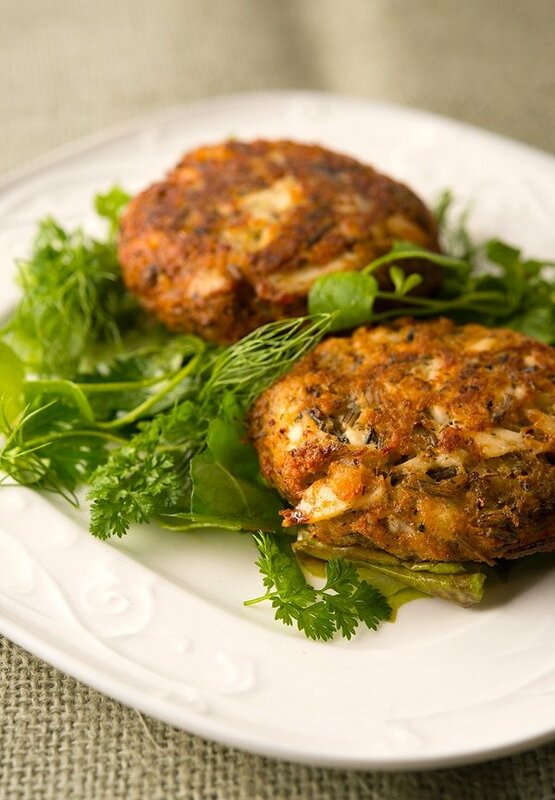 Just make sure you cook the wild rice completely before adding to the fish cakes, because the cakes cook up quickly. Pike cakes are a natural because of the fish’s many bones. True, it’s not that hard to fillet a pike, and I have detailed instructions here, but it’s easier to fillet as normal, gently poach the fish in chicken broth, and then flake out the meat. You only need a half-pound for this recipe, so vacuum seal any extra and freeze for later. You’ll want to make these fish cakes again. How do they taste? Just really good. There’s no one overwhelming flavor, although you do pick up the mustard and the chives in every bite. The fish is mild, the mayo keeps everything moist and the Worcestershire and lemon just brighten things. This is good Midwestern food without the blandness that mars that region’s culinary reputation. Needless to say this recipe can be done with any white fish, but if you are in the Midwest, please try to get perch, pike or walleye for this. It just seems right. Trout would also work well, here, especially Great Lakes lake trout or steelhead. Make sure any little bones are out of the fish. Mix everything (except the oil and salad greens) together in a large bowl. Divide the mix into 8 roughly equal parts and form into patties. If you have time, set the patties on a cookie sheet in the fridge for 30 minutes to firm up. You can skip this step if you are rushed. Fry the patties in the butter until golden brown, about 3 to 5 minutes per side. 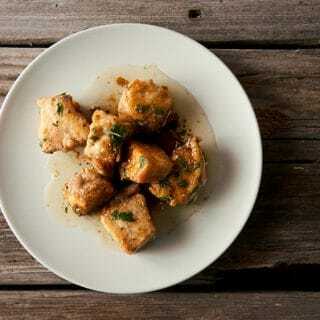 Serve with a green salad with a nice vinaigrette, or try my saffron aioli. You can find more than 100 recipes for all sorts of fish, here on Hunter Angler Gardener Cook! I make these frequently and they are delicious. Usually I double the recipe, freeze the patties on a cookie sheet, then vacuum seal them in 2 packs. They thaw fast for a quick meal when I don’t feel like cooking. Thanks for another great recipe, Hank. Hank, I made a version of these with some carp I caught. I’ve always been curious about that fish and the way it’s derisively viewed. I’m planning on making some pickled carp (use your pickled pike as a guide). The cakes were great, no muddy taste at all. The lemon and the Dijon were the most pronounced flavors, and the mustard was quite mild. I have some formed, but not fried left over fish cakes. Would they freeze ok? If so, any guess as to how long I could plan on keeping them in the freezer? Jesse: I normally cook then freeze, then, you can thaw and just heat and eat.